Happy New Year! January is “Get Organized Month”! Congrats on committing to Getting Organized as one of your New Year’s resolutions! But do yourself a favor and ease into it. The most important part of my philosophy with clients is to work in baby steps. I schedule appointments in 3 hour blocks because when we organize, we stir up a lot of energy, emotion and actual stuff. Just like weight loss (another uber-popular new year’s resolution for many), organizing is a gradual process. Starting off the new year with an enormous, unrealistic push to organize your ENTIRE house or apartment is setting yourself up for disappointment. So take it slow. Make a list of the projects you want to tackle. Now cut that list in half! You’re not Martha Stewart, there is no need to be the First Lady of Organization. Relax and just set out to be more functional and comfortable in your space. Doesn’t that feel better already? When you have a list, you have a starting point. Congrats! Clear as many surfaces as you can in one hour and then stop. 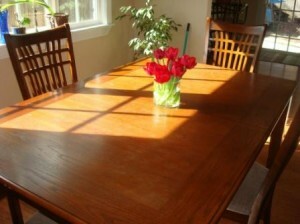 When you solely eliminate surface clutter, you can literally see your furniture better and your space will feel bigger. Your head will be clear and your eyes can rest without looking at a dozen tchochkes on one tabletop. This simple beginning gesture will motivate you through the process when you start up again as it’s a great reminder of how you want your space to feel and look. Plus you’ll be able to easily invite people over without wanting to screw it all and buy a new apartment just for a lunch date. After a shopping trip, discard/donate the exact number of items of clothing that you just purchased. For one thing, you won’t need more hangers because you’ll have just vacated the amount of hanger you’ll need for the new duds. When we buy new clothes, we are reminded of our current style and preferences and it’s easier to clearly see what we no longer like to wear. 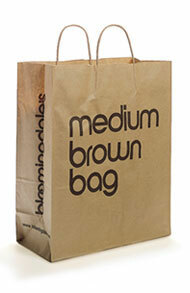 It’s a come-to-Jesus moment only with Bloomingdale’s as your spiritual guide. Create email folders for current projects and delete outdated emails and corresponding folders from old projects. This can take as little as 15 minutes. It’s very freeing and there’s no paper to shred when you’re done. Bonus! Enlist a friend to help when you first get started. If you’re not yet ready to hire a professional organizer (me), get your kindest, most focused friend and ask them to help you clear some brush in your home for an hour or two in exchange for dinner. It’s less emotional and less taxing to go through some of the hard stuff with a caring partner in clutter crime. They have a perspective you don’t and will make the purging of files or dumping of old VHS tapes a shared experience. You might want to have some wine on hand for a more enjoyable organizing session. 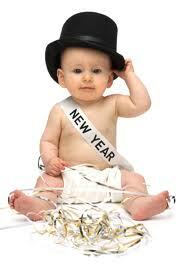 Good luck, Happy New Year and feel free to share your New Year’s goals and resolutions in the comment section!